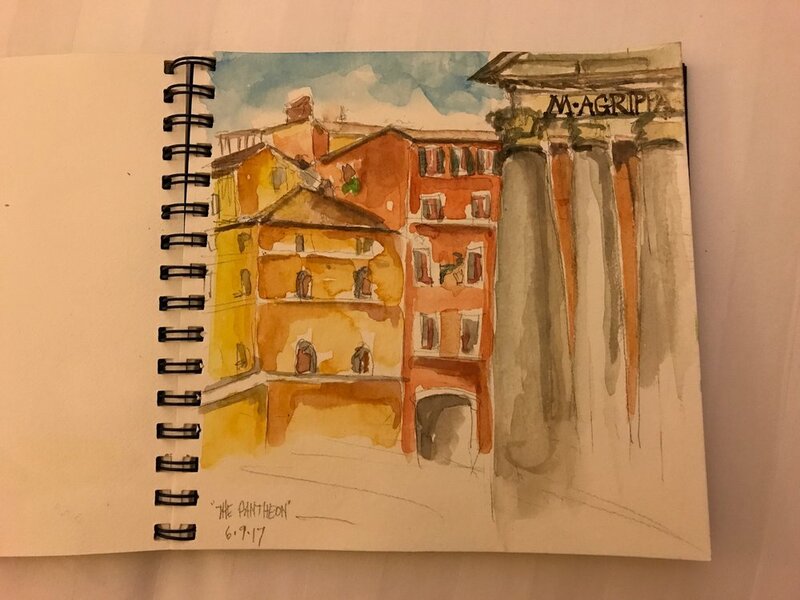 We were in Maastricht and Rome at the start of June for two weeks and I decided to reinstate the practice of making watercolour sketches. I had forgotten how much pleasure there is in making these. Less precious than "making art", but nonetheless valuable. Documenting my experience in small, immediate sketches makes it possible for me to quite literally be in a new or familiar place. To take in and mean it when I say I've seen the Pantheon. A bit heavy handed this, I was amazed at the effects of not having used fine tools for so long. 10" square paper makes for a very different experience from the 4', 6' and 8' canvases I usually work on! Great watercolour rig. Genius design.